The Whakarewarewa Mountain Bike Trails have made Rotorua the ‘mecca’ of NZ mountain biking, attracting thousands of people from all over the world each year. 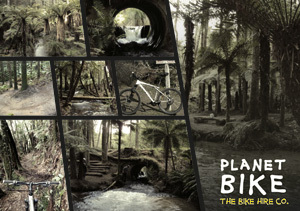 Within Whakarewarewa an extensive and varied network of trails offer riding for all levels of ability, from novice to expert, child or adult. Rolling beginner trails, fast flowing single track to more challenging cross country trails exhilarating downhill to boot. There is something for everyone….this guided tour allows you to see as much of the forest as possible.